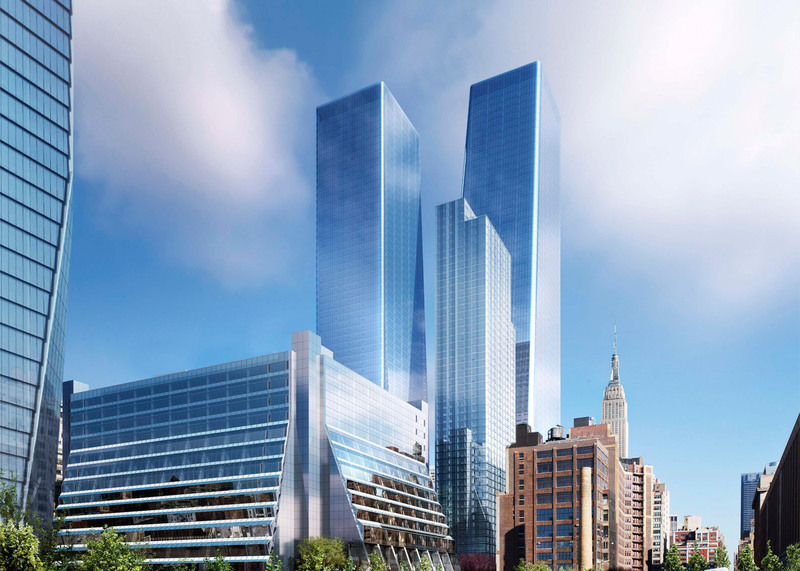 Architecture firm SOM has released new renderings of Manhattan West – a mixed-use development including a trio of towers that will be built next to New York's massive Hudson Yards (+ slideshow). 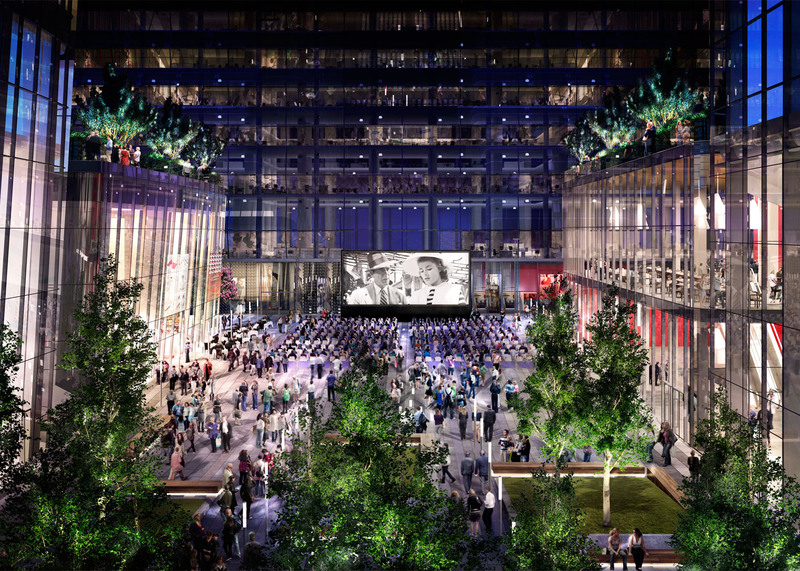 The five-million-square-foot (464,000 square metres) project includes a pair of office towers, a residential tower containing 844 apartments, retail space and a new public square. 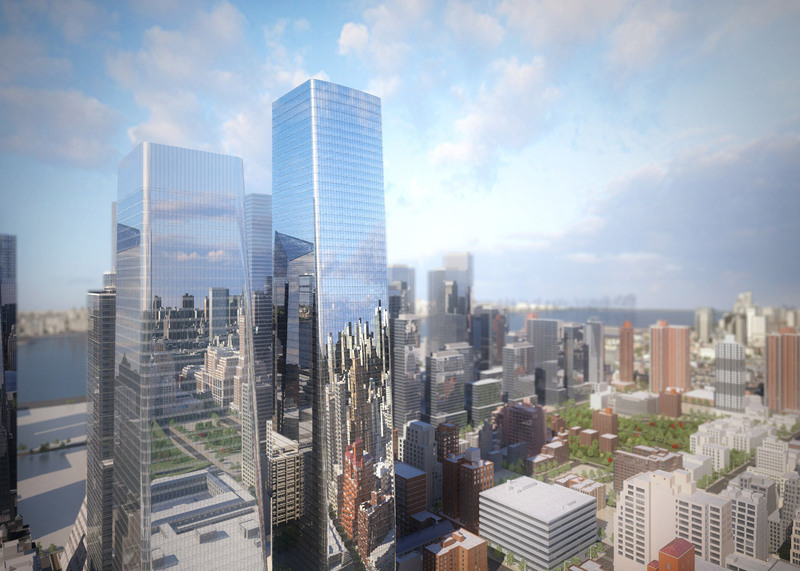 Brookfield Property Partners, one of New York's largest developers, is building the project. 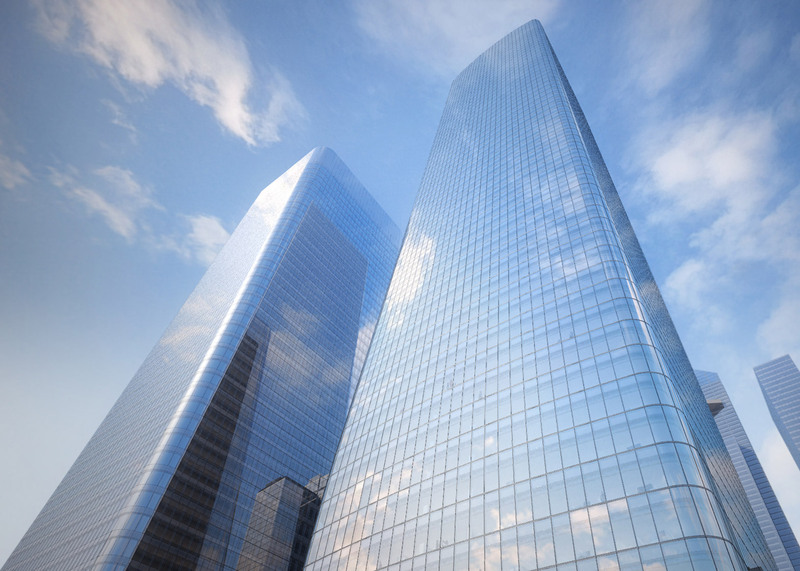 The two glass office towers, the tallest of which rises to 67 storeys, will each feature one angled facade and rounded corners. 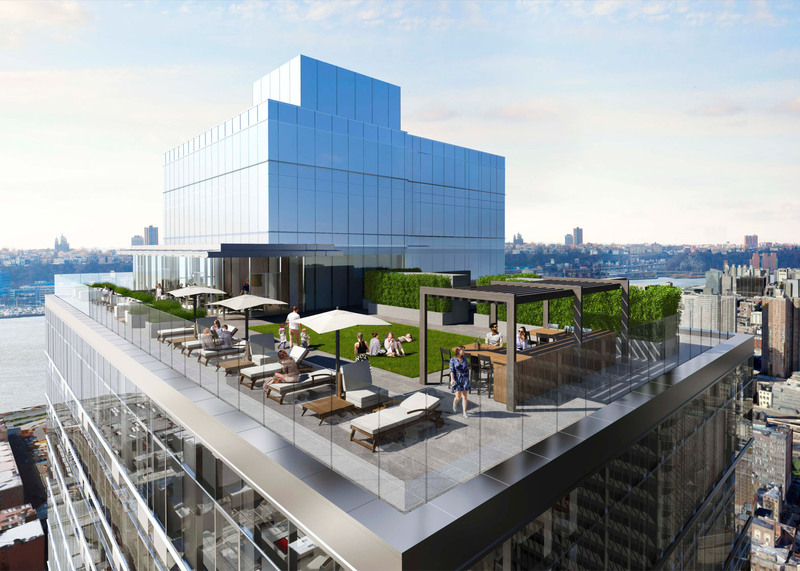 The shorter residential tower is envisioned with crisply articulated corners and a stepped profile, and will be topped by a roof terrace. The project also includes the re-cladding and renovation of a Brutalist 1969 building originally designed by David Brody. 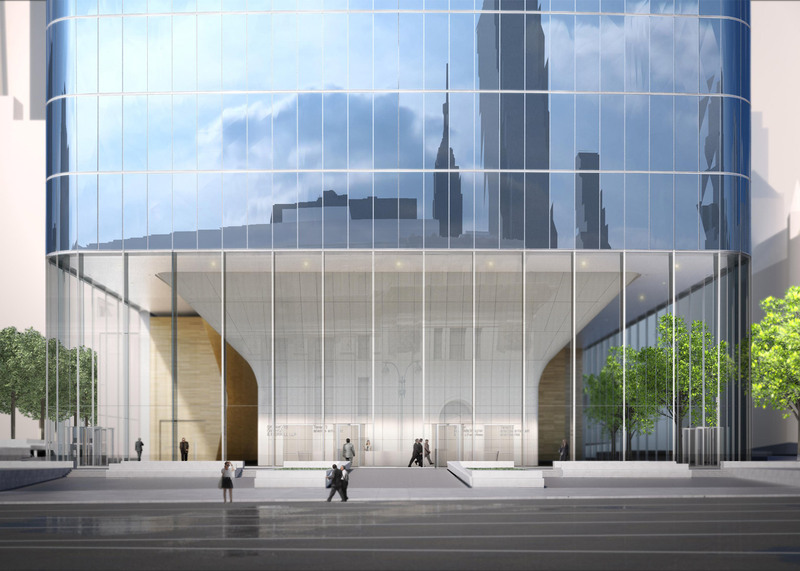 REX has designed a glass facade for the 1.8 million-square-foot (167,000 square metres) building. 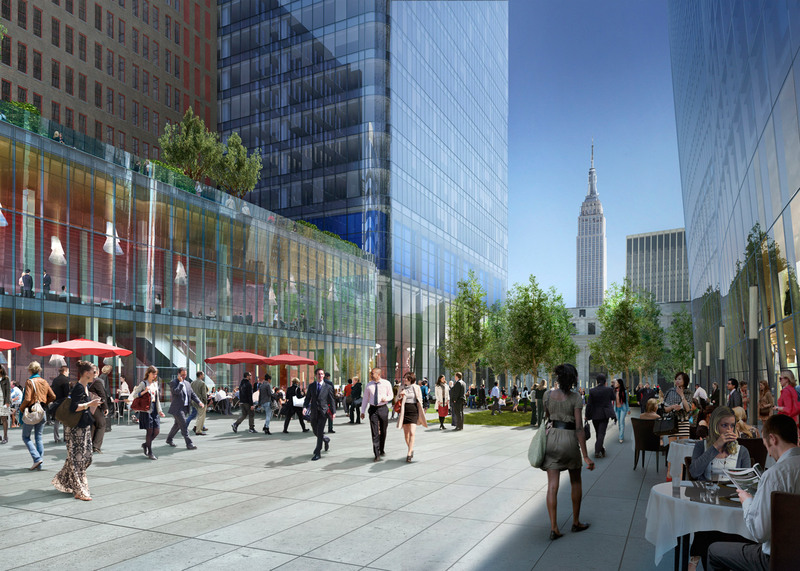 The new landscaped urban plaza is being designed by James Corner Field Operations, the firm behind the High Line, which runs southwest of the Manhattan West site. 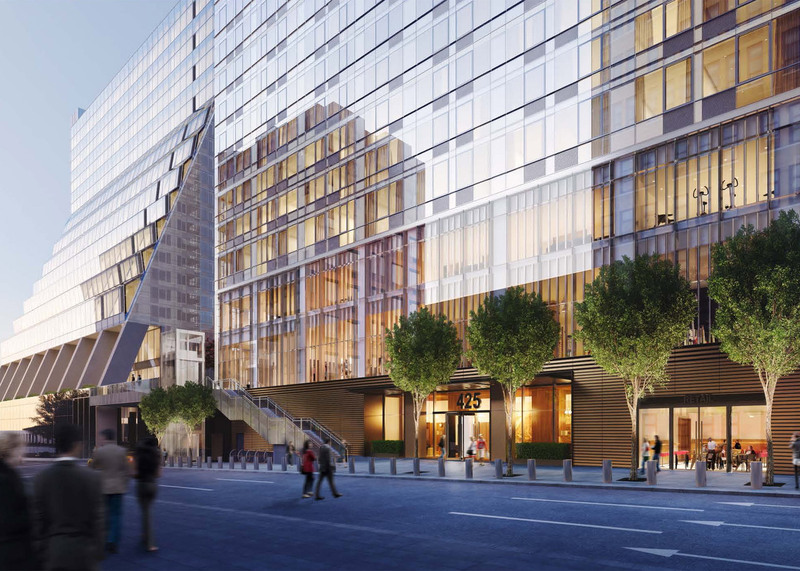 Manhattan West is immediately adjacent to the Hudson Yards development, which will include towers by SOM, Kohn Pedersen Fox and Diller Scofidio + Renfro, a new park by landscape architect Nelson Byrd Woltz, and a monumental sculpture by Thomas Heatherwick. 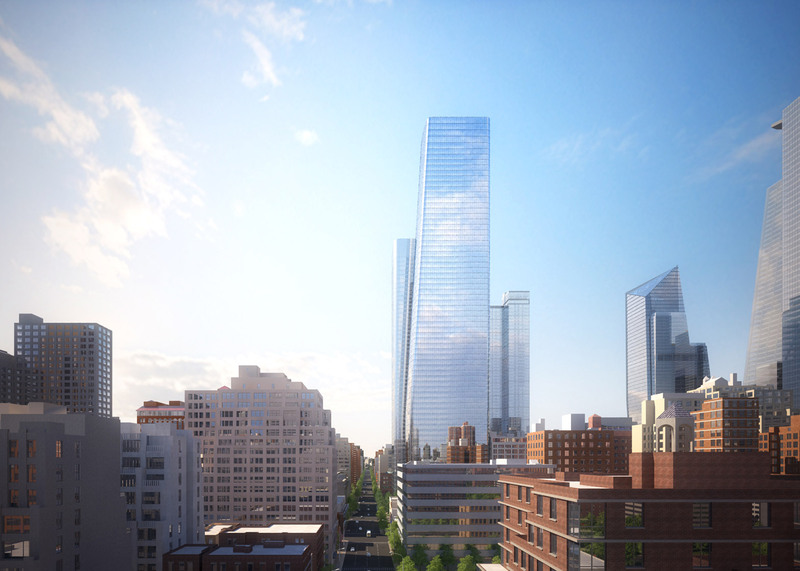 Both developments are built on decks that span active rail yards and are located near Penn Station, which the Governor of New York is trying to convince developers to renovate. 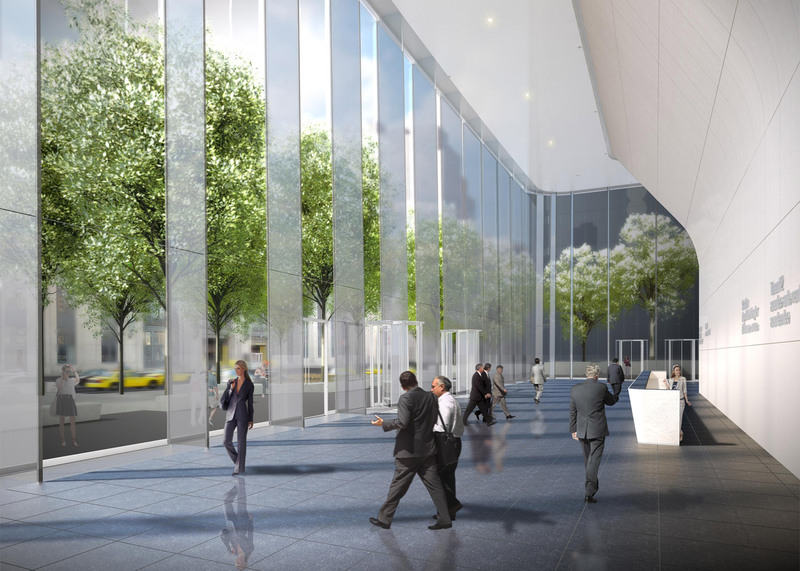 SOM recently unveiled new plans for the project, including a new train hall waiting room with a curved glass ceiling. 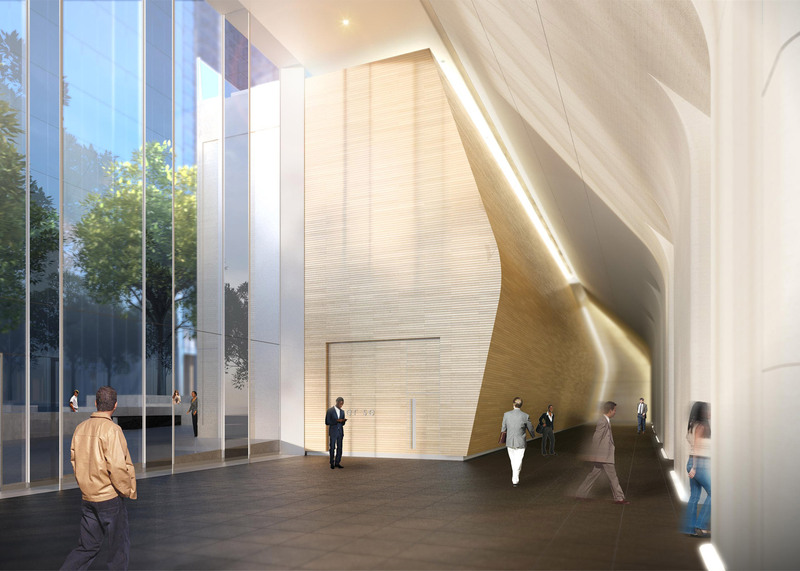 SOM – short for Skidmore Owings & Merrill – recently completed a new library in Chicago with an oval floorplan, designed a net-zero elementary school in New York, and renovated an abandoned movie palace in San Francisco into a theatre and community space.